Imagine you have a bunch of pictures taken on a trip and all of them are piled up in a folder with different nametags. Or in case you’ve been writing a script in different drafts, it’s important you name them accordingly to easily locate them by name. But, to rename multiple files is another level of headache and is definitely time-consuming. Luckily, Windows offers a very simple way to bulk rename all your files in a few clicks and steps. So, let’s see how you can manage your files by renaming them all at once. There are various files that you wish had similar name tags to easily locate them and organize them in a single folder. These may be some .png files or some .doc files. You can rename the files with similar data inside them all together and help yourself organize your Windows PC better. Let’s get on to the process and learn how to rename multiple files at once on Windows. corner; else, in case your folder is visible in Quick Access, you can directly select it from there. Now, hold the Control Key (Ctrl) and left-click on all the files you wish to batch rename. In case you wish to bulk rename all the files in the folder, simply press Ctrl+A to select all of them at once. Here is a bunch of files downloaded as potential wallpapers for desktop screen. Now all of them are similar in genre but are all named differently. In case you wish to rename all the files in the folder, you need to select them all using Ctrl+A command. In case you have only a few files from the pile for batch renaming, go for the Ctrl+LeftClick option. Now, after you have done that click on the Rename button on the expanded ribbon. After you’ve selected all the files for bulk rename, and clicked on the Rename button, you’d see that you’re asked to rename the first file on the list. Only the first file. Now, choose a specific key name that would represent all the files in your selected folder. In this case, since all of them are wallpapers from a similar source, we can rename them all as “Avengers_Wallpapers”. Now, as you can see, all the files are now renamed, and to provide every file with a distinction, it has been numbered from 1 to 11. And in a simple manner, you can batch rename files and can now organize them all together in a separate folder. To batch rename files in Windows, Powershell is another effective tool that you can use. But here, we are going to go a bit deep into the tech stuff. Since this process requires syntax and commands, it might sound really hard for someone who’s not into computers, but it’s just one simple command, which you can literally copy from here. So, let’s get down to the process. You can do that the same way you did for batch renaming files using File Explorer. Just like in the previous process. Once you’ve found your desired folder, enter it by double clicking on it. Once you are in the folder, press and hold the SHIFT key on your keyboard, and simultaneously press Right Click button on your mouse. You’ll see a new option in the menu, saying Open PowerShell Window Here. Once you select this option in the red block, a PowerShell Window would pop up with your selected folder as its path directory. For the uninitiated, you don’t have to worry about the syntax, we have it right here for you. Now copy this syntax on the PowerShell window and proceed to the next step. Remember, this syntax works only if you wish to proceed with batch renaming of files on Windows. Here, we need to enter what name we wish to give all our desired files in the folder. In the brackets, you need to enter the name you wish to give to the files, in the place of “new_filename” commandlet. To offer a format to your files, you need to delete “.ext” commandlet, and enter the desired format suffix. And once again, all files have been given unique serial numbers to provide distinction and avoid same name files. Now, you’ve successfully batch renamed your files using Windows PowerShell. There are a number of open-source renaming software available on the web that allows you to batch rename your files on Windows. It’s a matter of another subject to determine which one’s best, but one of the easiest and comprehending one is File Renamer Basic. Let’s rename files using File Renamer to know it’s worth. This would be the prompt window of File Renamer Basic. You can select the desired folder from the options in the left corner (marked in red). The folder chosen here is Blog Images (marked in green) from Local Disk: E. As soon as you click on the desired folder, you’d have all the containing files in that folder in the list to the right (marked in blue). The File Name Properties allow you to change the file name in a format of your choice. Here you can see options like Prefix, Filename, Separator, Unique parameter, and Suffix. These are the attributes of a file name and with File Renamer Basic, you can alter these attributes per your choice. Let’s start with Prefix. Change the prefix to whatever you want. For example, if it’s a doc file, you can add Doc as a prefix or in case of image files, it can be IMG. You can just choose to not have a prefix for your file name. In this example, let’s choose to exclude Prefix from our file name. If you notice, the Include button in the prefix column is unmarked. Leave it as it is to exclude the Prefix from your bulk renaming of files. The File Name column would be set to default Leave Unchanged button. You can change the option to anything else in the drop-down menu, Let’s choose our own custom file name in this case. So, the filename here can be, Blogpost Image. Step 4: Choose a Separator. You can choose a separator to space up the words; again, you can choose to not include a separator. Leave it blank if you want a simple space. In this case, an underscore would be more preferable. Since in batch renaming, the file name for all the file would remain the same, there is a need for a unique parameter to distinguish them from one another. You can choose from the three options; numbers, letters, or dates. Here, the default setting is number and it’s better to keep it that way. The Suffix is not necessary to include. So, let’s omit that from the file name. However, one must choose the right extension to define the file type. You can customize the file extension just as you customized the filename. Since it’s all images we are renaming, the extension could be .jpeg, .png. or .jpg. File Renamer allows you to preview the file names before you permanently apply the settings. The Preview and Apply buttons are in the bottom right corner of File Renamer Window. Once previewed and checked, you can select Apply button and then check the original folder for final review. The New Name column would look like this once you’ve applied the settings permanently. When you go to the original folder now, you’ll see all the files batch renamed successfully. There are a number of batch file renaming software available on the web to bulk rename your files for organizing folders. A lot of them support only a single format of the file for bulk renaming. For example, the software may only batch rename files in .jpeg format or .txt format. You can install Photo Organizer here. Once it’s installed. Just run it and you’ll see an option, Import Photos on the top left corner. Click on it and proceed to the next step. Step 2: Add Folder which contains all the files you need to batch rename. Once Explorer pops-up, and select the desired one. Once you move to the next step and come to Organize Settings, you would land upon Destination Folder Settings. Change your preference to File Name before you click on next button because that is what we are here to do. Take a look at this screenshot direct from the app. Photo organizer would give you multiple formats for batch renaming for files. Click on customize button and you can then batch rename your files as per your choice. Once you click on the Customize button, you need to select one format from the choices before giving it a name. So, let’s select one format, <Image Number> and then enter the name that would represent the selected files. So, that’s the name we have entered there for batch renaming the files in the selected folder. You can see since the selected prefix format is <Image Number>, the name starts with a number and then in the second column, we have entered the desired name. In the next window, you can choose to either make copies of existing files with new names or can just move the files to a different folder without making copies. 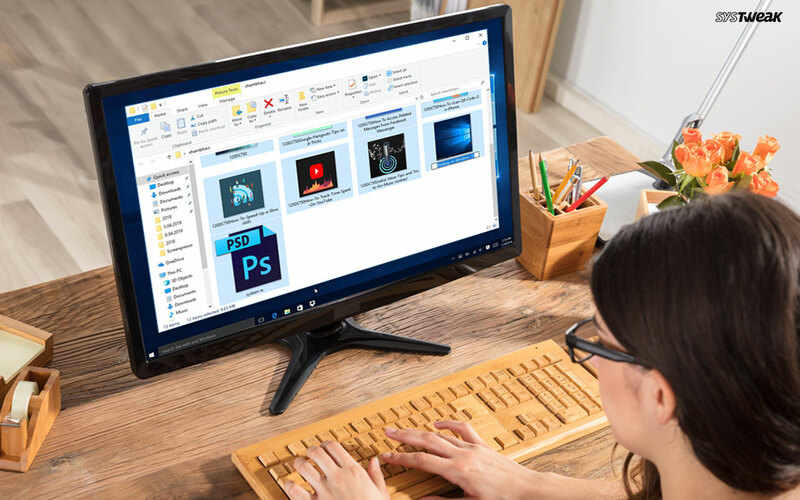 Now, once that’s done, go to the original album folder on your PC where the images were originally stored; there you’ll see a new Photo Organizer Folder instead of the original files. When you open it, you can see, all the files are renamed as per the format you gave them. 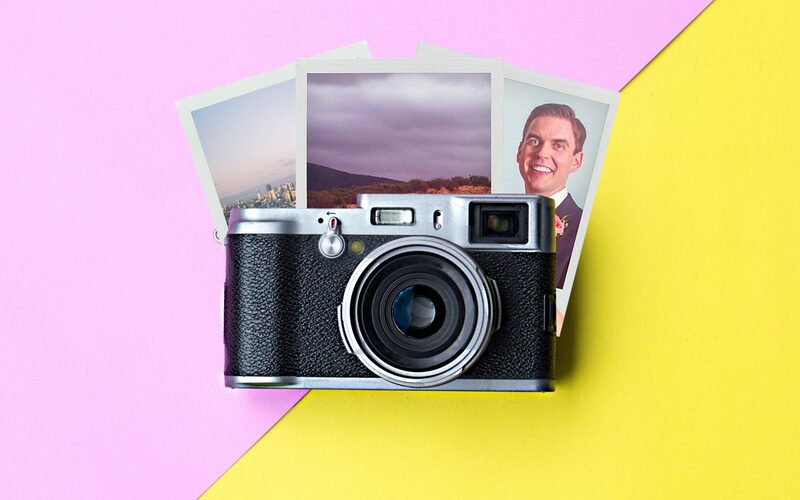 Since Photo Organizer is an organizing tool, it has a lot of features in it, from removing duplicates to album making. So, these steps would only rename your image files. For more, just download and explore it. So, now you have different means to batch rename the files in your system. 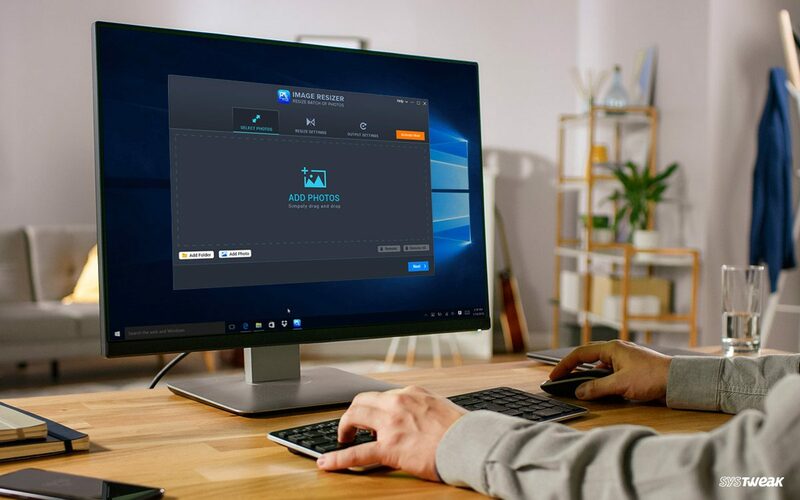 Two of them with pre-installed Windows features, and you got to know about an additional tool that can actually offer much more than just batch renaming image files. The only thing with batch renaming of files is that you can’t give character -specific uniqueness, or say, completely unique names to all the files. And it’s important that all the files to be renamed are in the same folder.